The College of Fine Arts and Department of Music are excited to announce that Dr. David Edmonds will be joining our faculty this fall as the new Director of Choral Studies. Dr. Edmonds joins UNM after serving as Director of Choral Activities at the University of Montana since 2012. Under his direction the UM Chamber Chorale was invited to perform for the 2015 NAfME NW and 2016 NW ACDA Conferences—both first-time invitations for the choir. As an active member of the American Choral Directors Association, he has held multiple leadership roles through the organization, including Montana R&R Chair for Women’s Choirs and NWACDA R&R Chair for Student Activities. In 2018, he was appointed as the ACDA National R&R Chair for Student Activities. 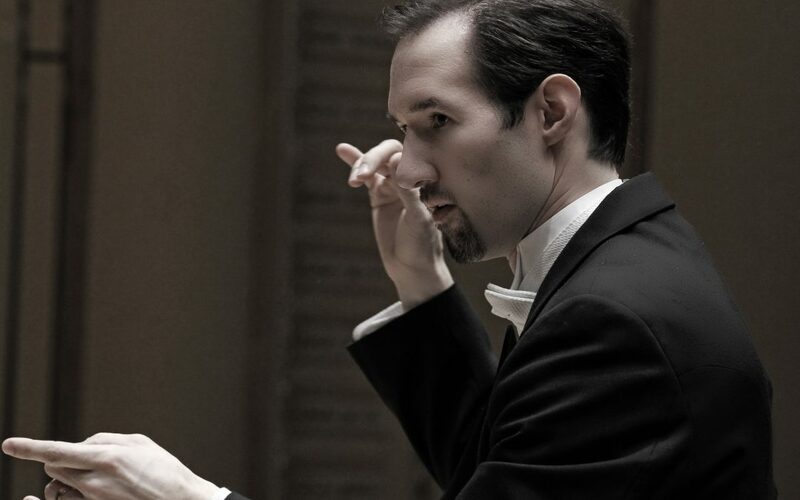 Before his work at the University of Montana, Dr. Edmonds obtained advanced degrees in conducting from the University of North Texas and Westminster Choir College and taught high school choral music for six years in Iowa and Texas. His original choral works and arrangements have been commissioned and recorded by schools and arts organizations in the United States and Canada and are available through Alliance Music Publications, Inc., Colla Voce Music, and Morningstar Music Publishing.